Cedar Park's PTC Board is looking for community input, ideas, and feedback as they begin planning the 2018-19 school year. 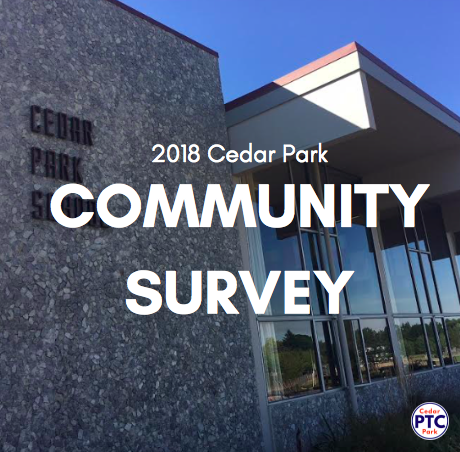 Please take a moment to share your valuable thoughts and feelings regarding Cedar Park's PTC so we can better improve and address parent priorities. Change can't happen without you! Don't pass up this opportunity to share your thoughts and impressions. Questions can be addressed to Hannah (cedarparkptc.contact@gmail.com). Older PostCedar Park Onstage Presents "Annie, Jr."